Hope you are all well and had a lovely week! Just like last week it has been so cold, and I’m hoping that we may have seen the last of the cold snap for a while. We’ve had another busy week, as always. Our little one is progressing really well with walking. She’s so excited to walk around the room, and her nursery are really pleased with her progress, so much so they are going to move her up a room soon. This afternoon I’m going to the Lucky Things meet up at a bar in Central London. I can’t wait to see Sunita again, and meet up with some other bloggers. It should be a fantastic afternoon, learning all about mindfulness and confidence, having a catch up and a few wines too. I may be a little behind on retweeting and replying in the afternoon, but I will aim to catch up in the evening. We had another brilliant week at #fortheloveofBLOG, and it’s great to see so many of you coming back week after week. Our Facebook community is growing too, and I love being able to interact with so many of you throughout the week. Last week Jessica from Beauties and the Bibs joined us as guest co-host, and did a brilliant job helping to manage the Linky and comment on your posts. This week Jade from The Parenting Jungle joins us as guest co-host. I love Jade’s blog, she is so funny and witty, so please all go and take a read of her post. This week I am linking up my post: Why I’m Rocking Motherhood. 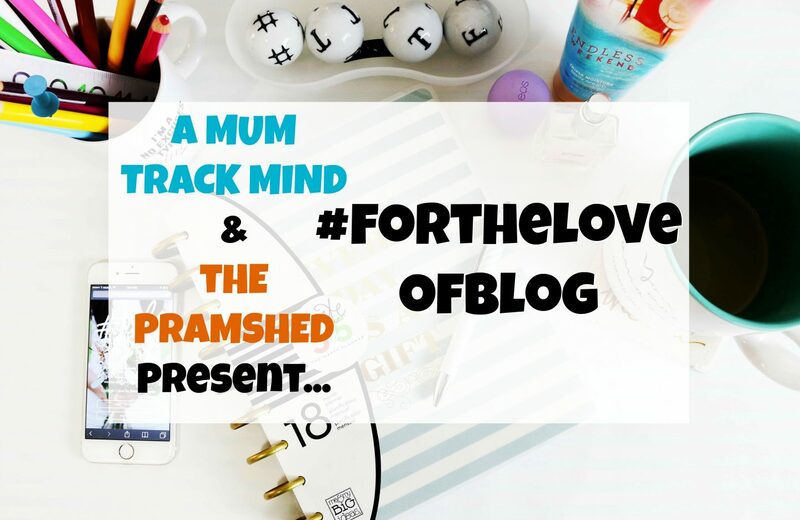 I was recently tagged to write this, and I loved thinking about all the positive things I achieved from being a Mother. Often we forget about the good parts and tend to focus on the negatives such as lack of sleep etc. It was fantastic to write this and share with you all. Last week my favourite post was Five Years of Blogging by Little Paper Swans. Five years is an incredible long time to have been blogging for, well done! I love reading the journey that Cathryn has been on to get to where she is today. Jessica’s favourite post was The Top 10 things I did to grow my Pinterest Traffic by Me and B Make Tea. #fortheloveofBLOG linky is simple. We welcome any type of post to be linked up with the exception of the promotion of other linky’s. You can link up to two posts a week, and between us we will comment on all posts. We will also feature our favourite post of the week on our blogs and include a back-link to your site. If you would like a RT on Twitter then just include @thepramshed and @ParentingJungle in your Twitter post when you link up. Fi is away this weekend celebrating her birthday and will not be retweeting. Don’t worry myself and Jade will be doing that. All that we ask is for you to include our new badge in your post which can be found in this post or in my sidebar, and that you comment on the hosts posts and the post directly before yours. And I love your blog too,every update you always nailed it. Thumbs up for you!